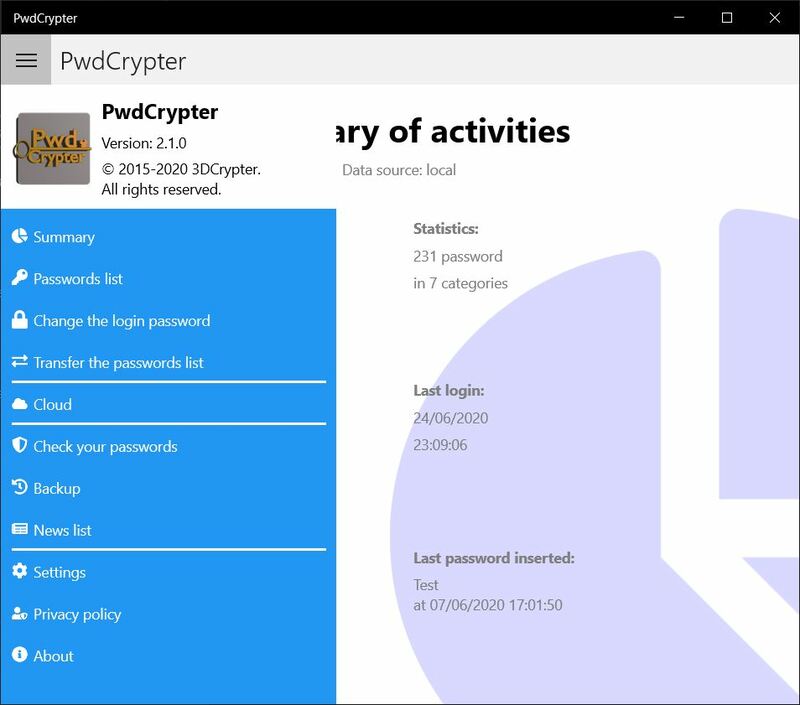 PwdCrypter© is on sale at the Windows Store with 30 days trial, without any limitation. If you won't agree with this, you must uninstall it from your devices. Knowing the importance of the data that the App has to manage, I have decided to use a cryptography algorithm in order to protect the data. 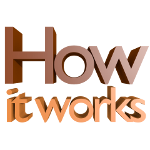 The access to the App is although shielded by password: at the first launch, it will ask you to create the login password. It is very important remember this password. Without it, you will not able to login to the application. About PwdCrypter. It show a page with the information about the application. It gives us also the link to this manual. Since the version 1.5.3.0, the dashboard is divided by two pages. You can navigate using the arrows on the left and right side of the App window. Settings.Show the panel with the options of the App. The password search is very simple: you can manually scroll the list or you can type part of the description of the password (see chapter Add a new password). The search is done during the keying. 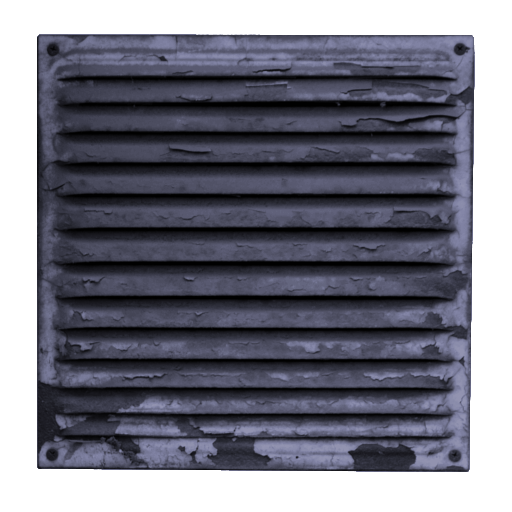 the additional notes (available since the version 1.5.3.0). See the chapter Add a new password for understanding what type of data you can link to a password. At this point, would you manually transcribe the password you see? Of course not: it is enough to click the copy button for copying the password to clipboard. You can do the same operation for the other information linked to the password (there is a copy button for each information). 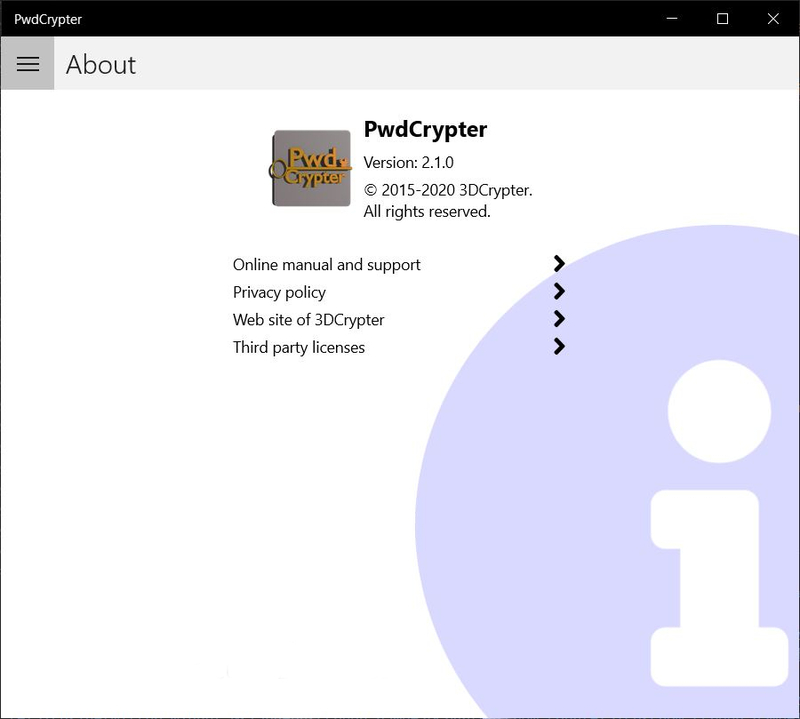 Since the version 1.5.3.0, PwdCrypter© is integrated in the Browser by the extensions. 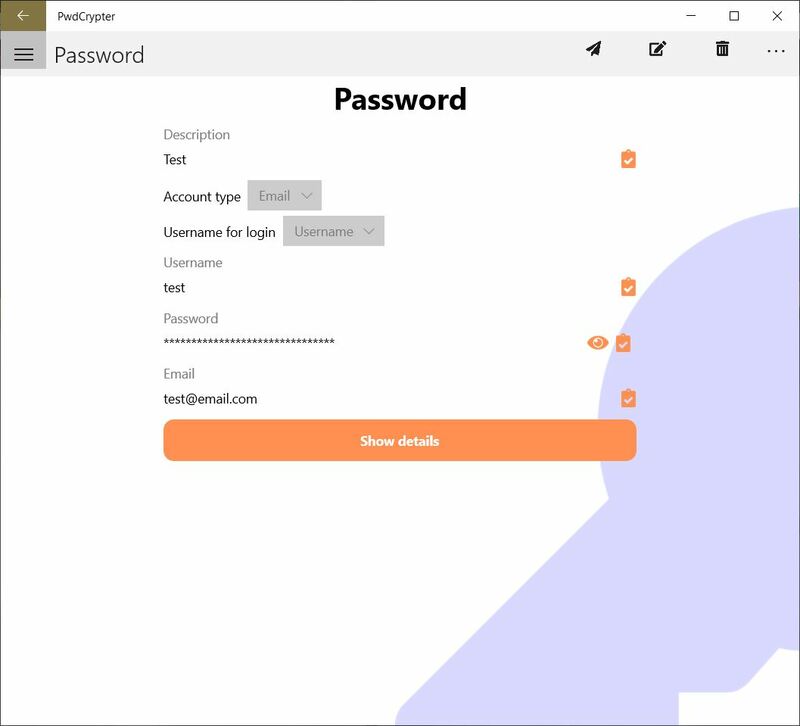 In the panel with the details of the password, the command "Paste in the form" allow you to send the data of username and password to the extension, with the aim to insert them in the form. For more details, see the chapter Browser Extensions. Description: it is the second information for importance that you have to insert. In the search page, you can find the password by this description (see the previous chapter The Password search). Since the version 1.5.3.0, at the right side, a button "Notes" is visible. With this button you can add some notes about your password. Password: it is a mandatory field for register the password in the application. Answer: optional field for insert the answer to the security question. When you have compiled the form with the required data, press "Next" in order to carry out the save. 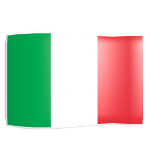 Since th version 1.5.3.0, between the buttons "Next" and "Back", a new button reserved tot he browser extensions is available. This open a panel with the additional settings for your password. In this panel you can choice what field is to be used for the username of the login form. The available options are "Username" (default) and "Email". 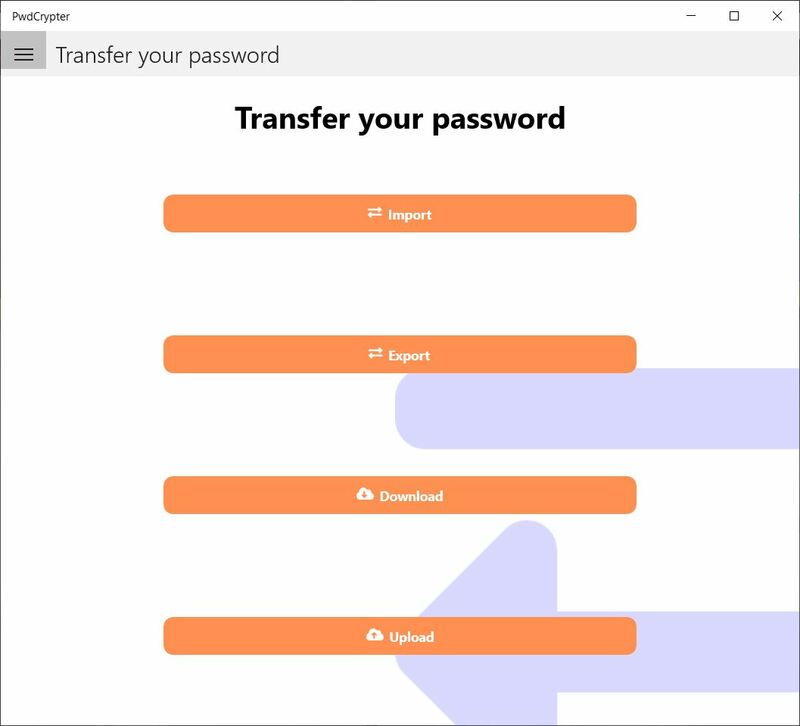 That information is saved in the passwords list, so it can be transferred with the password transfer feature. The page for the management of password is very similar to the search page. You can manually search the password by scrolling the list or you can find it typing part of the description in the respective field. When you have found it, you can select the item and decide between modify (button "Change") or remove it from the list (button "Delete"). 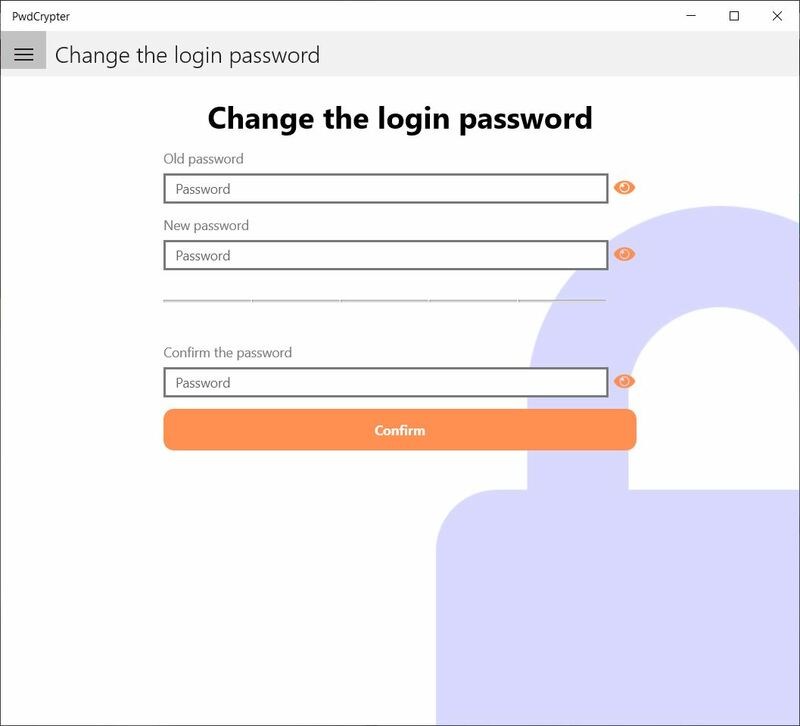 Clicking on "Change", you will go to a page similar to the page for adding a new password. The fields in this case will be precompiled. Warning: removing the password is an irreversible operation. It is a good norm updating regularly our passwords. Many web site that have in care the security of their users, they force the user to change the password after a specific time. The App doesn't obligate the user to update his login password, but it is possible do it when you believe suitable. Select the command "Change Login Password" and then choose "Next". It will propose the startup page and like at the first access we have to create the login password. LIST. It exports the password list to a file with .list extension. The file is encrypted. The first two formats are not encoded (so, for example, you can read them with the notepad). The third format is safer than the other because that file is encrypted. The files with these formats are perfect to import in a Calculation Sheet. The import feature (button "Import") allow to load the password list from a .txt, .csv or .list file. The .txt and .csv files can be generated by a Calculation Sheet (or also manually), it is enough that they respect the form described above. 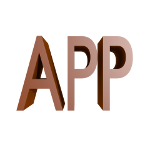 Instead, the .list file must be generated from the application. 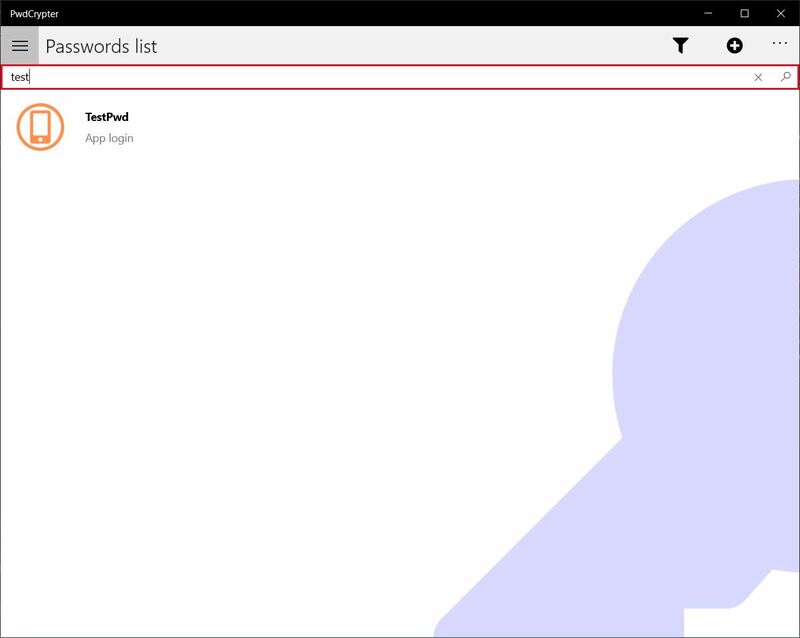 Why we should export the password list outside the App? 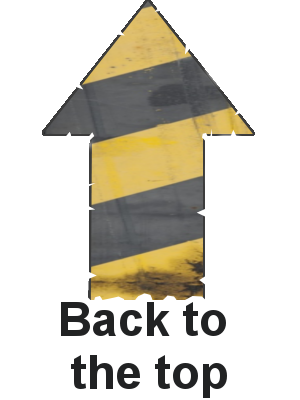 For make a backup (do you remember the clause in the condition of use?) or for transfering the passwords from one PC to another. Important note: for importing the encrypted file it is essential that the login password of the App is the same used at the exportation moment. For security reason, only the user that has exported the password list is allowed to import the list in the application. It means that, if you changed the login password, you will not able to import the .list file that you have exported before. Download. The command download to local the current list of passwords available in the Cloud. Clearly, for enjoy of this feature, the connection to OneDrive is needed. WARNING: any backup of your local passwords list is won't be done. Please, before make this operation, take a look on the passwords in the Cloud. Upload. The command upload to the Cloud the current list of passwords saved in your device. Also for this operation, the connection to the Cloud is needed. WARNING: any backup of your passwords list in the Cloud won't be done. Please, before make this operation, take a look on the passwords in the Cloud. 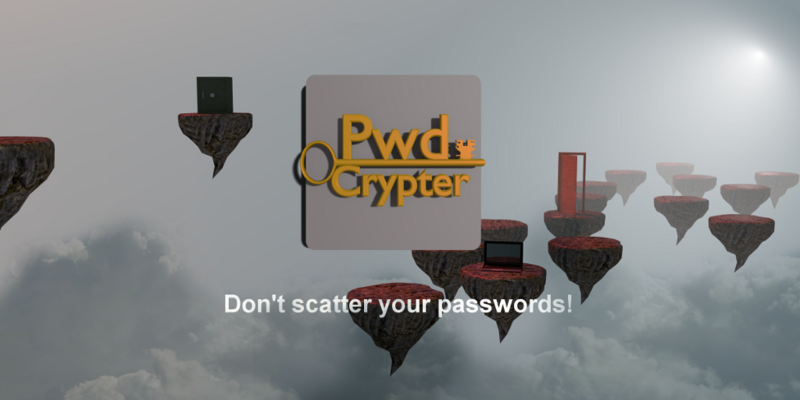 PwdCrypter© allow you to save your passwords list in the Cloud. This feature is available since the version 1.5.3.0. 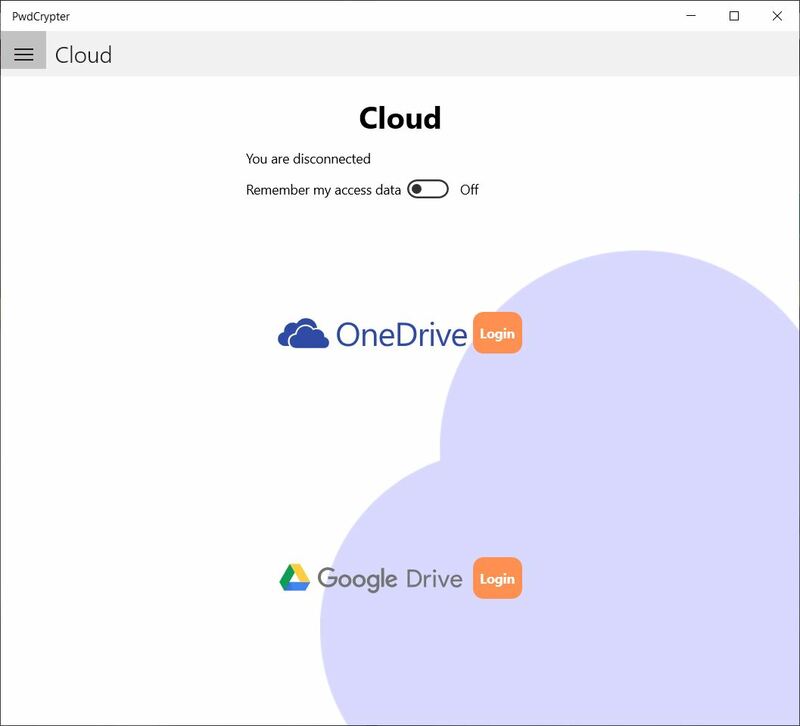 The platform currently implemented is Microsoft OneDrive. Pressing the button "OneDrive", a window will be opened in order to access to the platform. 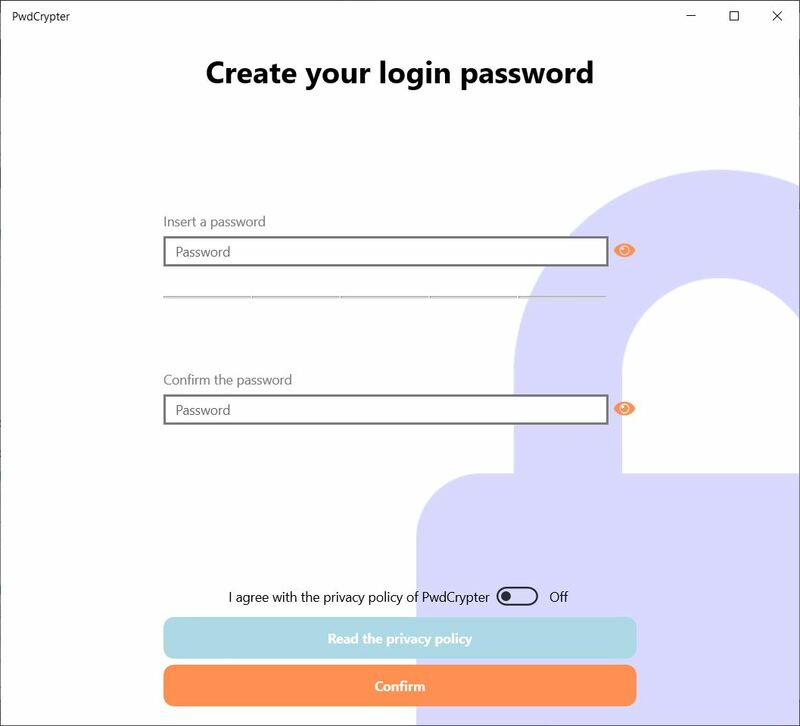 After you have completed the login, if it is your fist access to this feature, it will ask to the user if he/she want to upload in the Cloud the current list of the passwords. Once the user is connected, in the pages of search, mangement and transfer of passwords, the new option "In the Cloud" will appear. That option is used for moving the page actions on the passwords list in the Cloud. You can uncheck that in order to continue to working with the local list of passwords. Upload for carry out the opposite operation. For more detailes, see the page Transfer. This page is available since the version 1.5.3.0. Here you can set how long the login session of the App should be (5 minutes is the default). 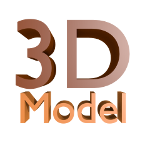 In the category Extensions, you can disable the popup message with the instructions after the copy of the login information for the Browser extension. This settings are saved locally in your device, so they are not transferred with the passwords transfer feature. 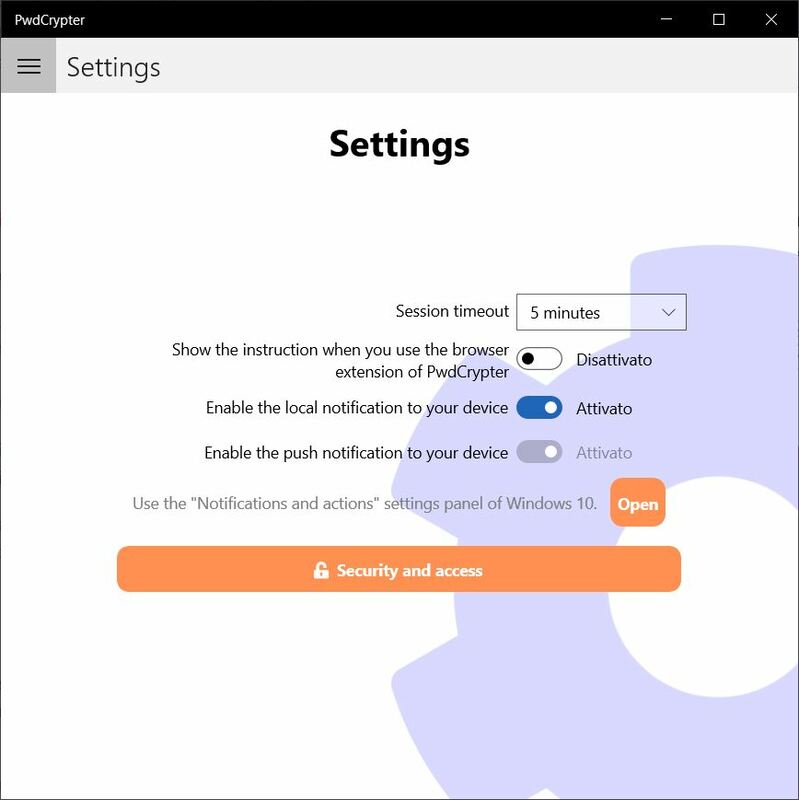 Since the version 1.5.3.0, the PwdCrypter© App is integrated in your Browser. 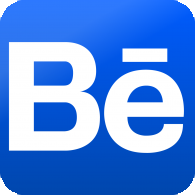 At the moment, the extensions are available for Chrome and Firefox. download and install the PwdCrypter Native Messaging Host software (MD5: addbaaa09860b38bc23caf432aa31a89). The extension works in this way: open the panel with the details about the password and press the button "Paste in the form". The data of username (or email, depending on your settings) and password will be prepared for dispatch them to the extension. At this point, move to the browser, set focus on the first field of the form to be filled, and press the icon of the extension. 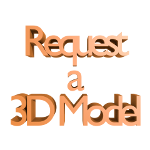 After few moments, username and password will be inserted in the form. 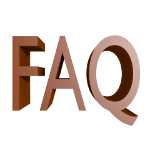 For security purpose, the information sent to the extension, is not persistent: for paste the same information again in an other form, you have to repeat the procedure from the first step. Additionaly, the password won't be paste to a not encoded field that it is not dedicated to the password. NB: some web sites can block this special copy and paste feature. 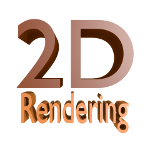 Below, there is the video demo. The video is in italian language but it is subtitled in english.